People always find difficulty in problem-solving. It’s mainly due to their wrong perception about the problem and lack of knowledge to solve the problem. 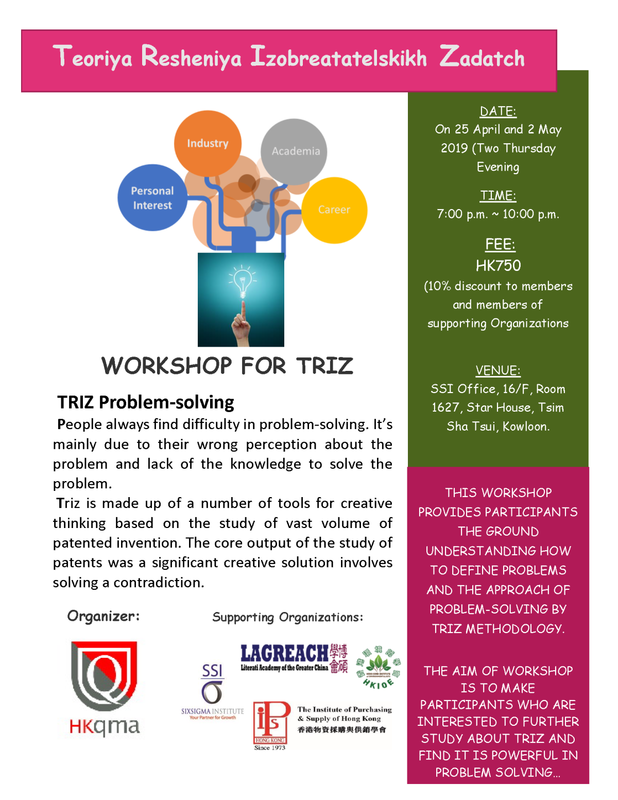 TRIZ is made up of many tools for creative thinking based on the study of the vast volume of the patented invention. The core output of the study of patents was a significant creative solution involves solving a contradiction. 單元 1627, 16/知名, 星光行, 尖沙咀, 九龍. If you cannot view the form below, please use the direct link for the enrolment.